Creative Collective LLC connects creativity, community, and commerce across the North Shore. 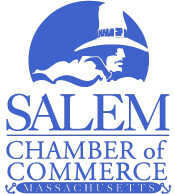 Salem Main Streets goal is the revitalization of downtown Salem as a vibrant, year-round, retail, dining and cultural destination through business recruitment, retention and promotion. North Shore Community Action Programs, Inc.
Salem Youth Football & Cheering, Inc.